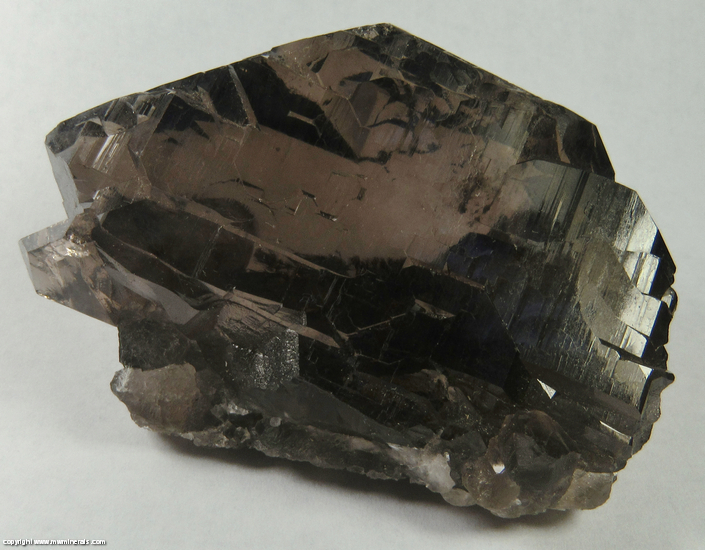 $1750 Click here to order this mineral. 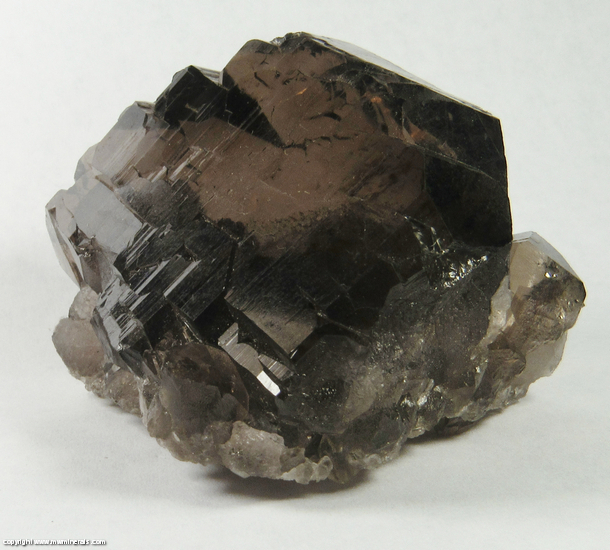 A stack of double terminated, conjoined Smoky Quartz crystals with twisted, curved surfaces. This is a classic example of the Quartz structure known as a Gwindel which is derived from the German word, gewunden, meaning twisted. 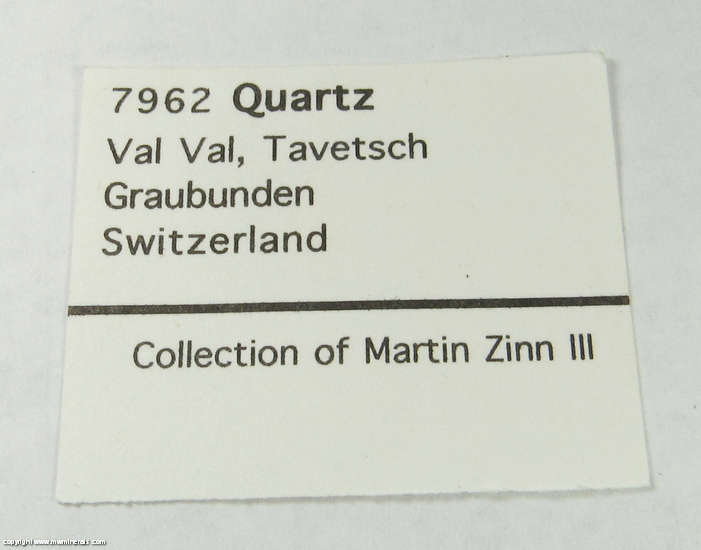 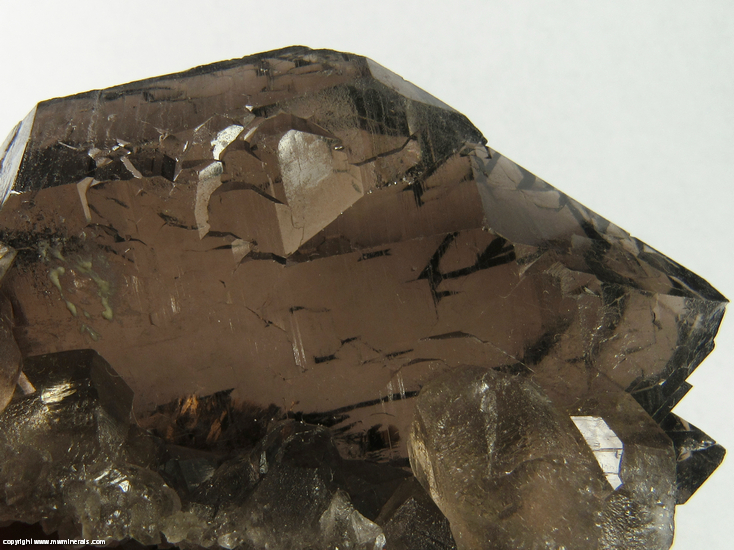 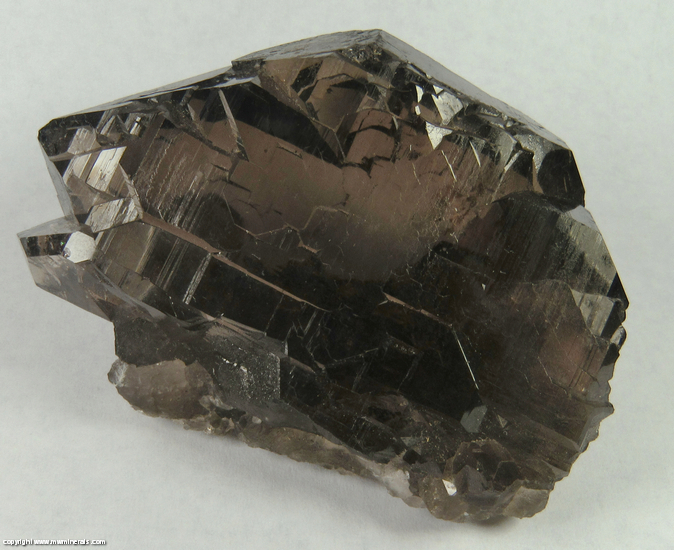 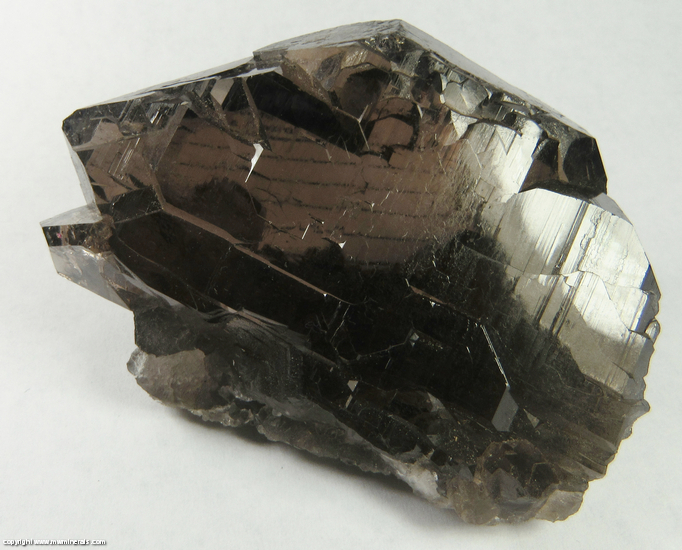 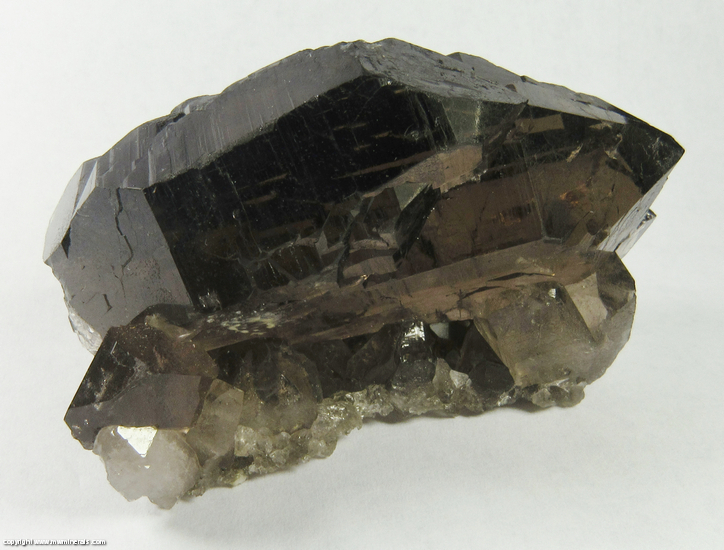 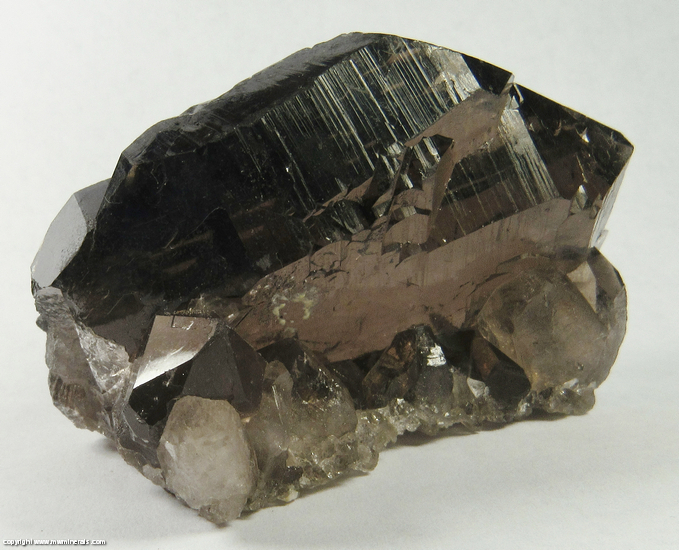 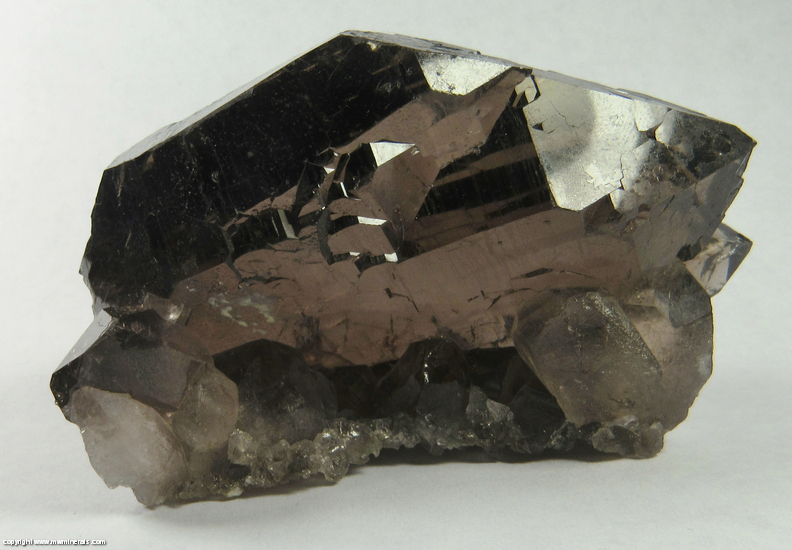 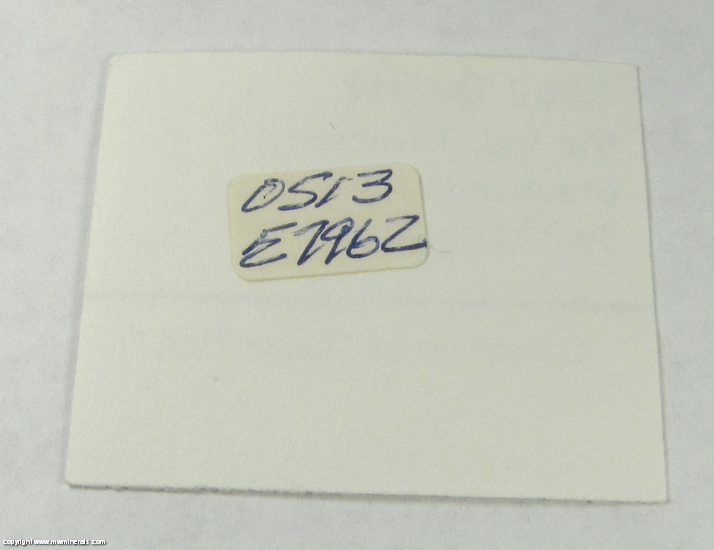 The Quartz on this specimen is a smoky brown in color and almost completely transparent (two of the latter picture have a lined, blank, mineral label to exhibit the transparency). 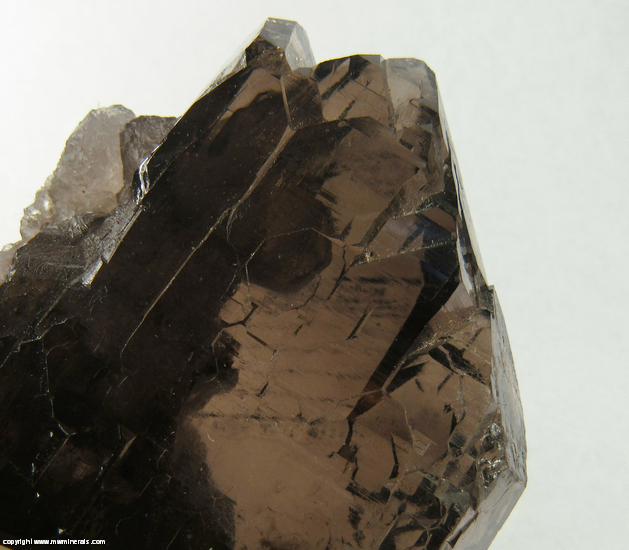 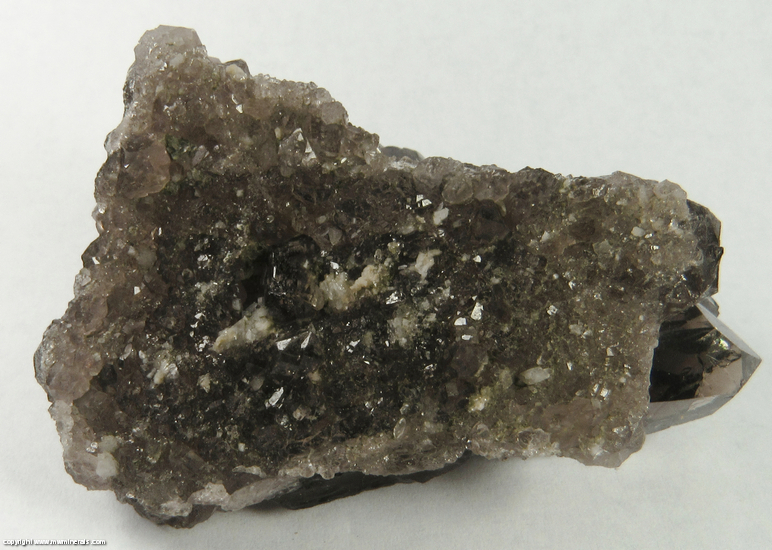 The surfaces of the specimen have a high, glassy luster with absolutely none of the Chlorite or pits after Chlorite which so often mars the surface of Alpine Smoky Quartz specimens. 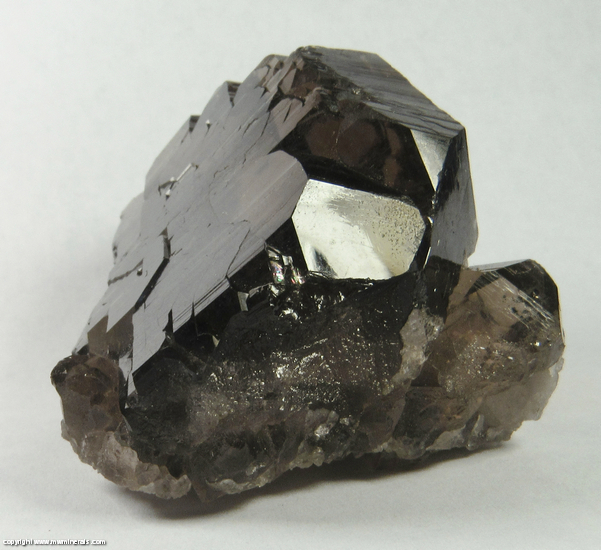 This is an all around fantastic example of a mineral classic. 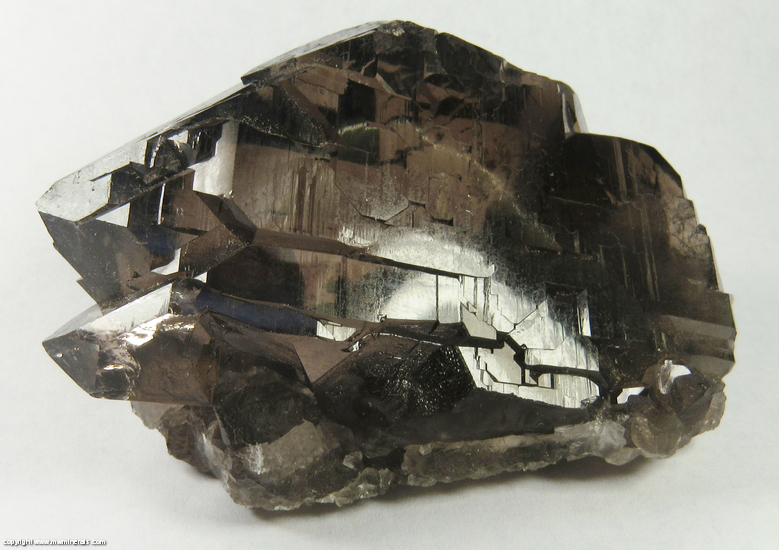 Flaws: There are internal cleaves at the bottomest termination on the left side of the specimen.